One of the issues with imaging with the Hyperstar @ f/2 is that the wavelengths all get shifted by ~6nm, so doing narrowband with it can cause some real issues. A 13nm filter would appear to be OK, but in fact by the time (for example) Hydrogen Alpha is shifted by 6nm, its in the 30% or less bandpass section of the filter. Then Baader released their new range of filters, including an oddity… a 35nm Ha filter. Is it a wide Ha or a narrow red? Who knows, but its use on the Hyperstar was obvious to me, keeping the peak Ha emision line well above the 90% transmission. 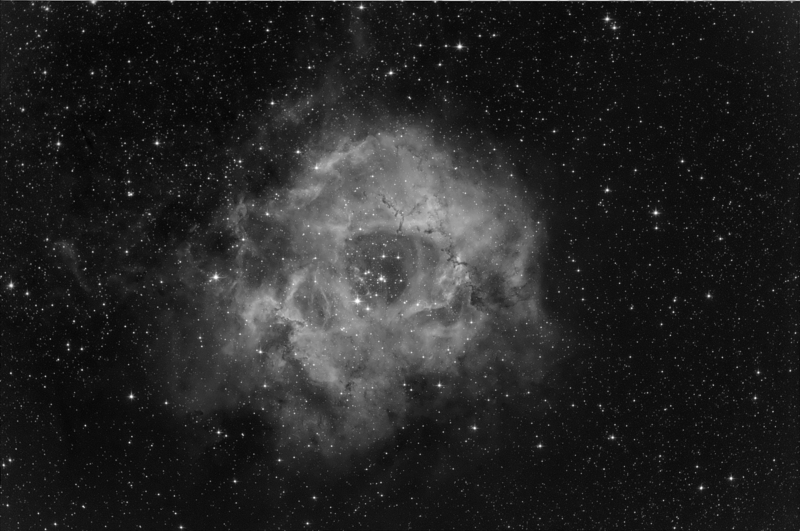 It also seem to cope really well with the full f/2 shift at the outer egdes of the QHY8 APS size CCD. The only small downside is that because of the wide bandpass, its not quite as “contrasty” as you would expect from a narrowband filter. 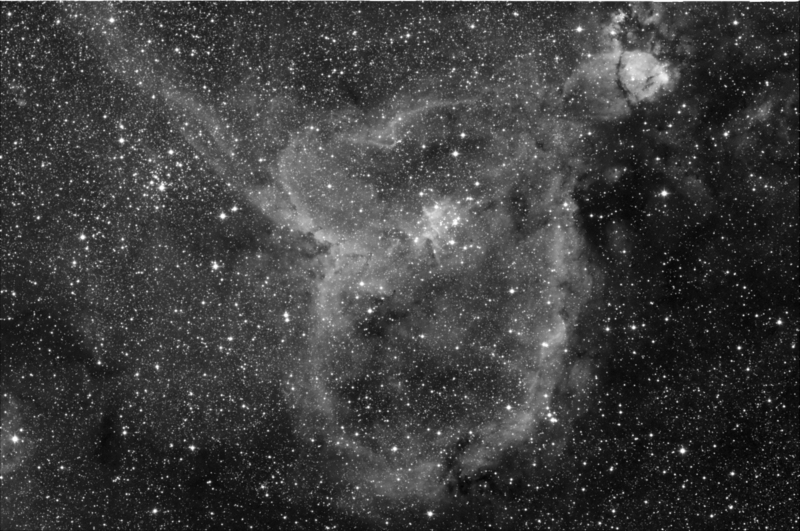 After the first all night imaging session at home since what appears to be the beginning of time, I am shattered 🙂 At least at Kelling I could have a lie in, but I had to come to work today… bah! 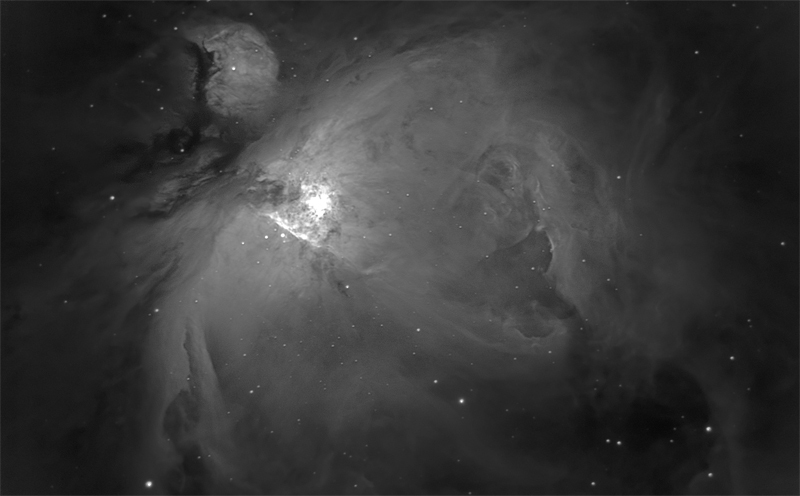 After taking a couple of sequences (that I still need to work on quite extensively), I saw a familiar sight appearing just over the top of the roofline… the top of Orion, his head peeking over the top and his body sliding slowly round the corner, showing more and more as time passed. Winter really is almost upon us, it was very cold last night, almost frosty. Instead of rushing to point the kit at Orions Belts or the sword, I waited a while. I walked up to the back of the garden to get a better view, to see if an old friend of mine was likely to come out to play before the sun made its presence known by turning the sky blue. And there is was! Trailing not that far behind Orion, and just a little low, but certainly about to make an appearance for my camera. I turned the scope to where it should be, and watched as the shadow of the roofline slowly slipped away in the quick images that were flashing up on the screen. And there it was…. Hello old friend, I`m sure we will be seeing an awful lot of each other over the next few months.